The Mexican peninsula of Baja California is only a quick three-hour drive from L.A. and is always worth a visit especially if on a budget and with limited time. I love going there whenever I have the bug for international travel without flying long hours. Whether in Ensenada or Rosarito, the moment I check into a hotel, I always feel like I have just arrived to a very exotic place. 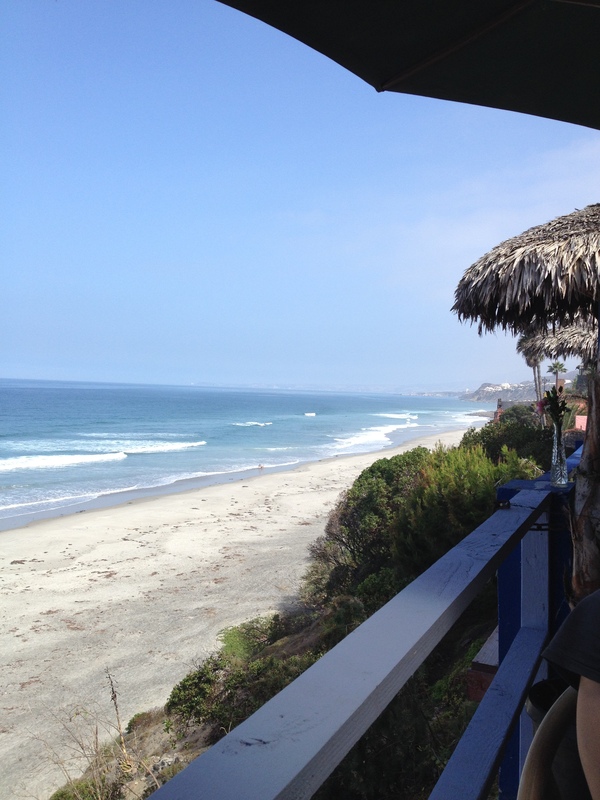 I usually stay at La Fonda Hotel near Ensenada, if I want to have a quiet, relaxing time. This hacienda-style hotel, painted in a vibrant orange hue, has all the design elements — such as arches covered in beautiful ceramic tiles and sturdy dark wood furniture — to make every guest feel like they’re on a telenovela set. It’s that authentic and romantic! The hotel’s restaurant, perched on a lush cliff overlooking the ocean, offers the best coastline view and great seafood to top off a great rendez vous. 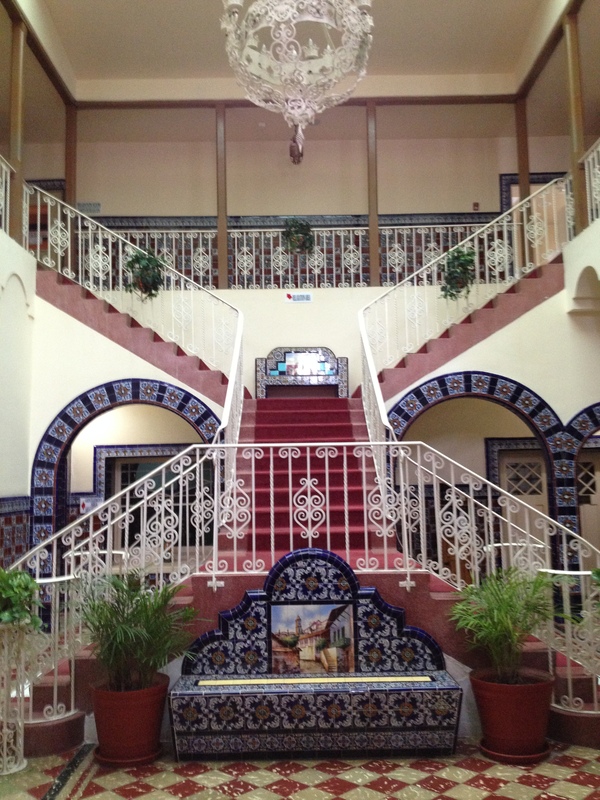 The Rosarito Beach Hotel, with its glamorous history and illustrious guests, is the Chateau Marmont of Baja, the one that put the quaint town of Rosarito on the map when it first opened in 1925. One can sense the history and grandeur of it all when entering the huge, elegant lobby, adorned with beautiful frescos, large stairs, and antique furniture. I love staying here when I want to have a real good time by exploring downtown, meeting people, having delicious coco locos (huge coconut drinks) on the beach, and enjoying outdoor activities normally not allowed back home, like horseback riding on the shores. 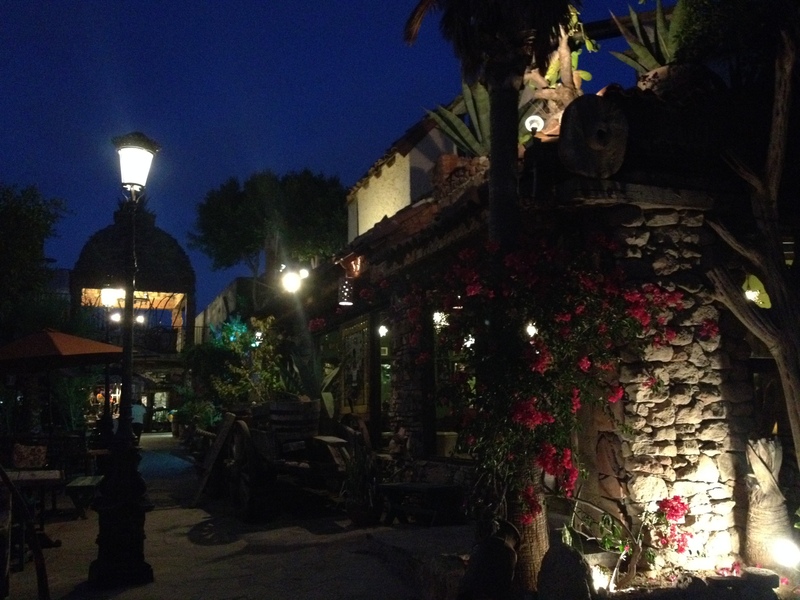 With so many different restaurants located on the main boulevard, Rosarito offers different options for a dine-out evening. The last time I was there, I discovered a few excellent cafes: one inside the picturesque cobblestone barrio of Pueblo Plaza called Susanna’s (California Cuisine), a traditional Mexican restaurant with a fun patio resembling a jungle (El Nido), and an eclectic pizzeria just outside downtown called Betuccini. 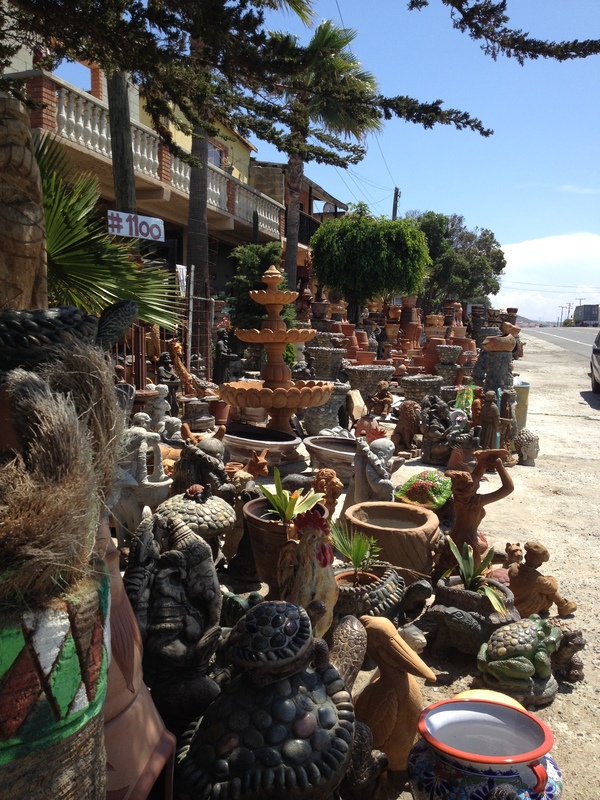 But what I love to do the most when I’m in Baja is driving along the coast and shop for potteries because it gives me the opportunity to do some sightseeing and interact with the locals. 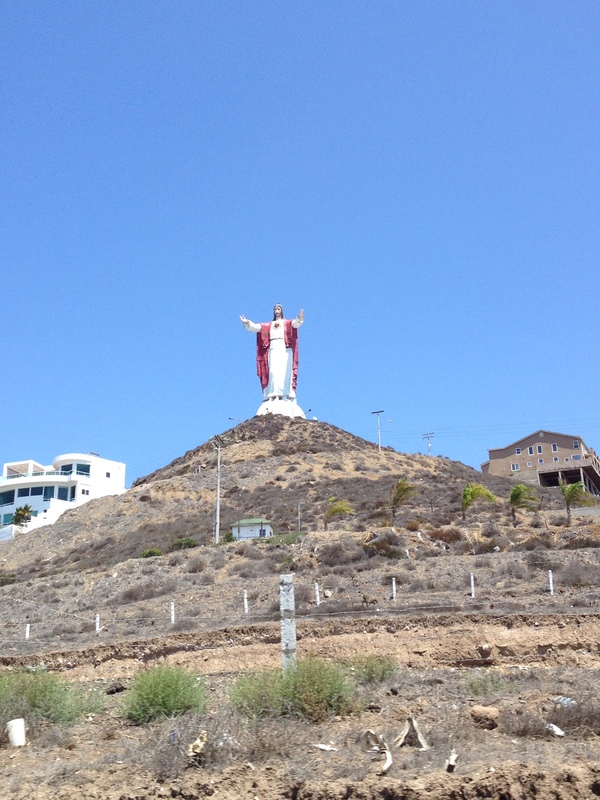 During my last pottery hunt, I noticed that many poor areas have been cleaned up: There are new developments, nicer buildings, and more stores lining the highway from Rosarito to Ensenada. I definitely saw more changes in the pottery vending spots alone — most of them have upgraded from front lawns to brick and mortar stores. One can tell the economy is doing better, however, some vendors are still struggling. When shopping in Baja, I typically compare quality and prices among the different vendors and choose the ones that seem the best, but last time I ended up buying two large terra-cotta vases from a young man and his nine-year-old son. I didn’t need to do any research, I knew in my heart that that was the place and that this boy helping his dad deserved money more than anyone else. We joked about school and he kindly reminded me that the right word in Spanish for pottery is jarrones, I was mistakenly calling them “vasos” … glasses! Oh, Dios mios! I need to go back to school, myself!